In the early decades of the twentieth century a modernizing imperative took hold. Suddenly it seemed that a new age was dawning—an era of new technologies, fashions, and political philosophies—modern times. In the aftermath of the Great War (1914–1918), with the overthrow of the old European empires, it was all the rage to strip off the veneer of fussy decoration and unnecessary detail that choked the preceding era and to replace it with designs and inventions that emphasized machine power, strong lines, bold colors, and smooth surfaces of metal, glass, concrete, and rubber. Wunder in Uns: Ein Buch vom Menschlichen Körper für Jedermann bears the marks of this moment. In 1921 Hanns Gunther (the pseudonym of the German popular science writer Walter de Haas, 1886–1969) compiled twenty-eight essays on the human body into “a book for everyone.” Furnished with a cover illustration showing a boldly minimalist outline of a human heart, Wunder in Uns presented illustrated lessons on “recent developments” in medicine and “modern physiology.” Central Europe was then afflicted by postwar political and economic turmoil, but even in troubled times the book attracted a wide readership and quickly sold out its first edition. 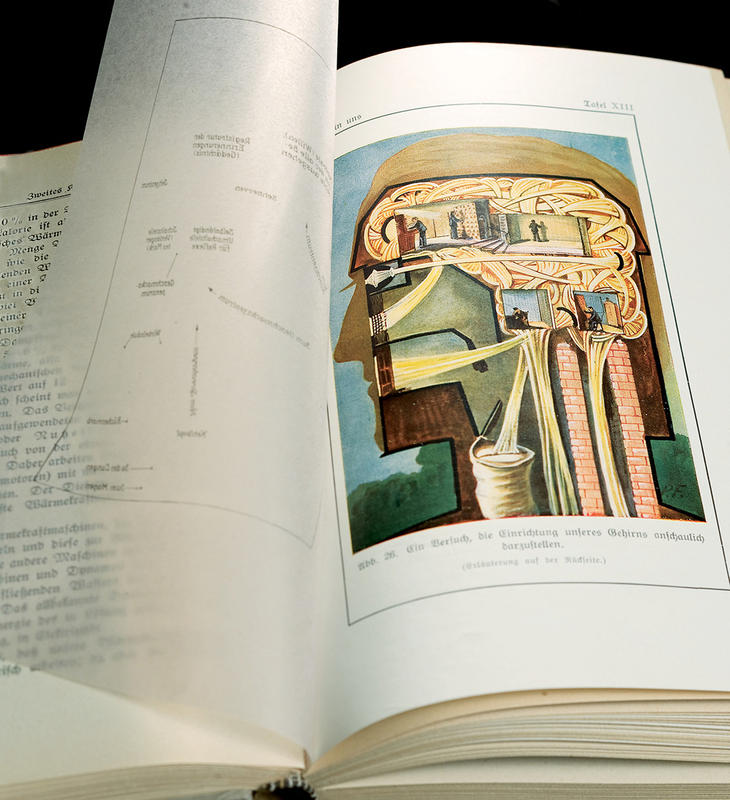 Part of its appeal was its colored plates, which feature stylized cutaway diagrams of the interior of the human body. Although anatomical illustrations had long been a staple of popular medical books, they typically presented a static view of structures. In contrast, the most striking illustrations in Wunder in Uns deploy images of industrial production to visually explain the body’s functions. Plate 13 in Wunder in Uns, 1921. “An attempt to represent our brain’s setup, shown graphically.” The anatomy of the brain and nervous system is here reconfigured as linked rectilinear offices of functions—and covered over with printed tissue paper. 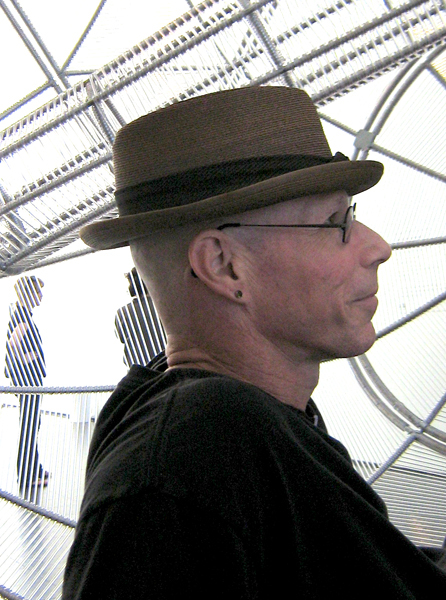 The head was the most modern part of the body. Plate 13 represents the brain as bundles of wires connected to telecommunication offices staffed by little switchboard operators, file clerks, and messengers, who sort and redirect sensory electrical messages received from the eyes, nose, mouth, and lower body. In another plate, on digestion, foods tumble off a conveyor belt down the esophageal chute into the stomach and intestines, depicted as a sweaty mine or furnace room tended by manual laborers. The body then had a class system—the clean head office controlled the dirty body factory—which reflected the social organization of twentieth-century industry (with one glaring inaccuracy: the workers are represented as adult men, even though switchboard operators were usually women). Plate 19 in Wunder in Uns, 1921.
correspond to the gill structures of fish. Both the form and content of Wunder in Uns signified modernity. Its admixture of text, drawings, and photographs was in the graphic style that had recently been developed in American newspapers and magazines. Each colored plate was preceded by a tissue-paper overlay printed with captions, a slick packaging concept. America was another signifier. Wunder in Uns tried to do things the modern industrialized American way. Its illustrations of the industrial body were borrowed (then colorized) from an American encyclopedia, Pictured Knowledge (1919). 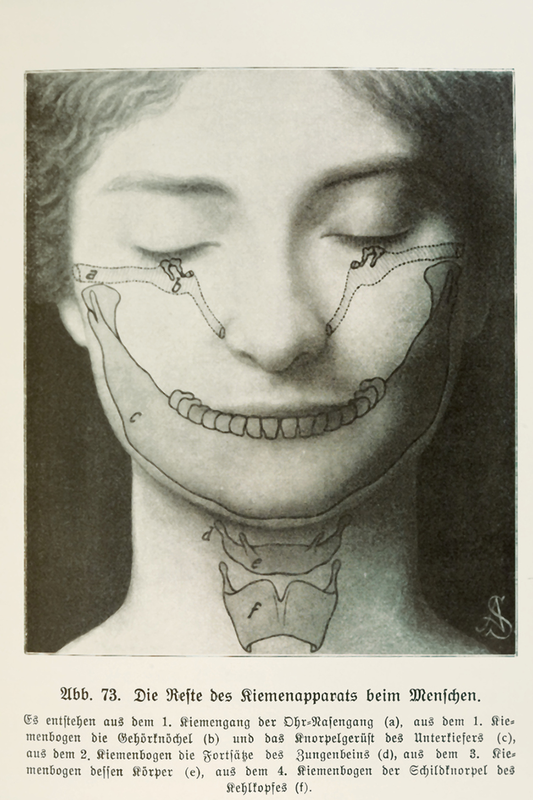 Later in the 1920s, Wunder in Uns essayist Fritz Kahn (1888–1968) developed modernist medical illustration in a series of popular publications. In the 1940s, as a refugee from the Nazis, he returned the genre to America.